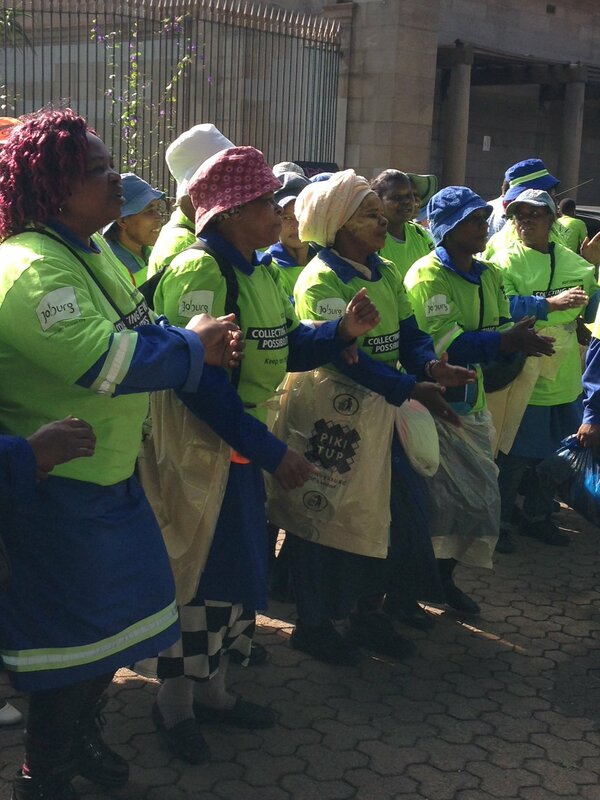 Braamfontein Alive: PikitUp workers at it again: People in my community. PikitUp workers at it again: People in my community. It seems PikitUp workers this morning started a new strike protest in Braamfontein. They were seen pouring all sorts of dirt, rubbish and screaming as they walk towards the company's new offices on Jorissen street. Thanks goodness as the protest was nipped in the bud by rain and some of these protesters were seen hanging out and waiting for the work of nature to stop before they continue with their agenda of the day. Residents of Braamfontein, last year witnessed a horrific clash between these workers and various security personnels employed to protect PikitUp offices on Juta street. Braamfontein Alive is shocked with this latest development and we hope this situation will be sorted out amicably between these two parties before it became out of hand like last year.